A stretch of the A90 dual carriageway. The contraflow currently in place on the A90 at Stonehaven is expected to move over to the new A90 southbound carriageway, weather permitting, during the week commencing Monday 21 August, as part of the Aberdeen Western Peripheral Route/Balmedie to Tipperty (AWPR/B-T) project. Following the overnight move to the southbound carriageway, which will enable the contractor to demolish and reconstruct the A90 northbound carriageway section of the bridge, the contraflow will continue with two lanes of traffic heading northbound and one lane of traffic heading southbound. 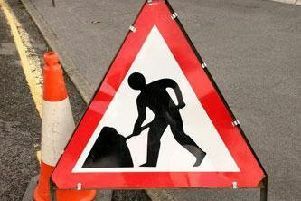 However, it is anticipated that during the demolition of the northbound carriageway section of the existing bridge, which is expected to take place over one weekend in the coming weeks, there will be one lane for northbound traffic and one lane for southbound traffic. The existing northbound A90 slip roads to and from the B979 and the new southbound slip road to the A90 from the B979 will remain open, although will be subject to periodic closures. Any closures to these slip roads will be included in the traffic management section of the AWPR/B-T website. A Transport Scotland spokesperson said: “By completing the new southbound carriageway section of the bridge, which carries the A90 over the B979, the contractor will be able to continue with the demolition and reconstruction of the northbound carriageway bridge, which is expected to take place in the coming weeks. “The continued use of a contraflow at this location will bring road users into close proximity with workers, so we are strongly encouraging road users to apply more caution than usual when driving through or nearby this section of the A90. Road users should also observe the 50mph speed restriction and road signage to enhance their safety, as well as the safety of others. The dates given are as accurate as possible but are subject to change at short notice.